Anne of Green Gables was first published in 1908. 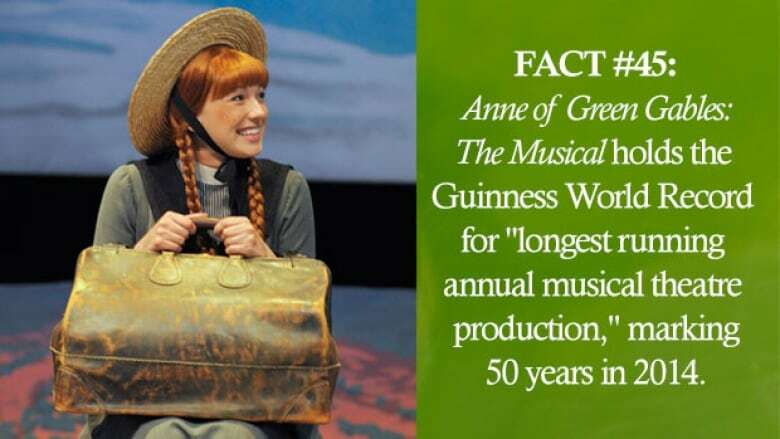 Celebrate 110 years of Anne Shirley by checking out these surprising facts. The publication of Anne of Green Gables in 1908 launched the literary career of Lucy Maud Montgomery, and her works are still read and loved around the world today. 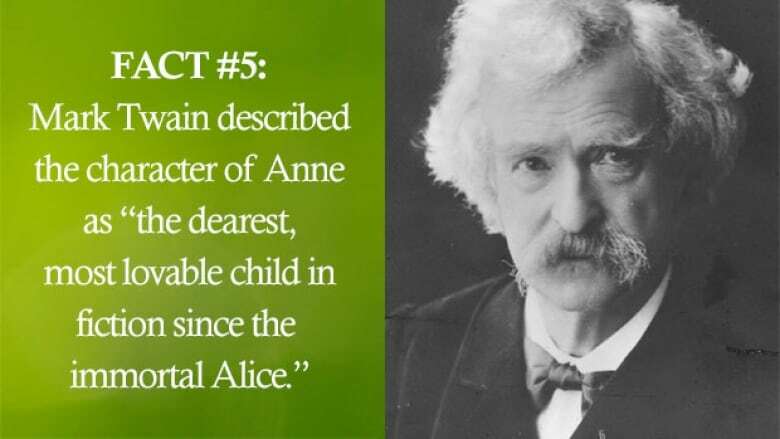 Celebrate 110 years of Anne Shirley by checking out these 75 facts you might not know about Anne and the great writer who created her. 1. 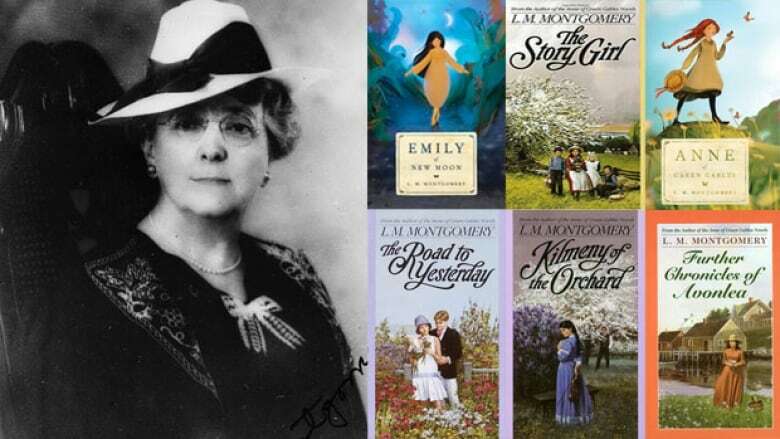 Lucy Maud Montgomery was born on November 30, 1874 in Clifton, P.E.I. 2. 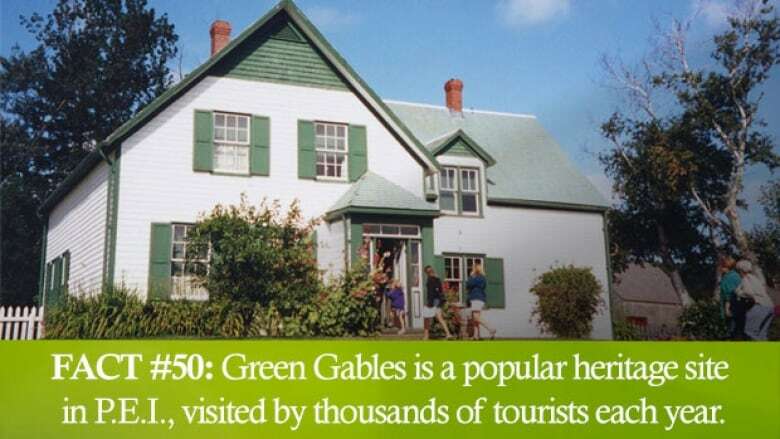 Anne of Green Gables was her first novel, written in 1905. 3. The book was rejected by every publisher Montgomery sent it to, so she stored it away in a hat box. 4. 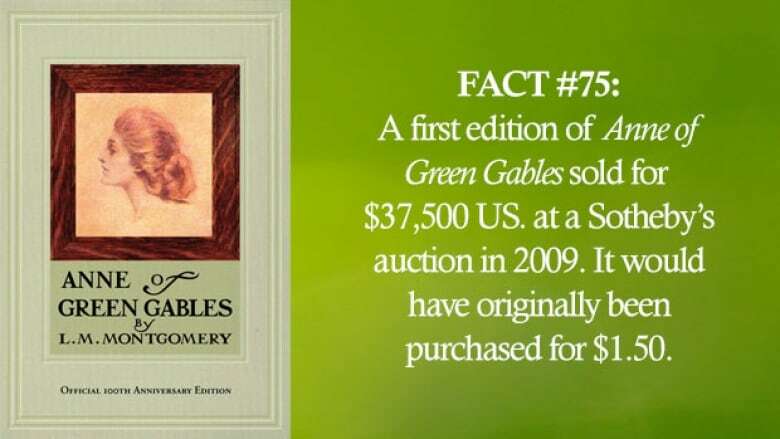 In 1907, Montgomery re-read the Anne of Green Gables manuscript and decided to send it out again. It was accepted by the Page Company of Boston. 6. 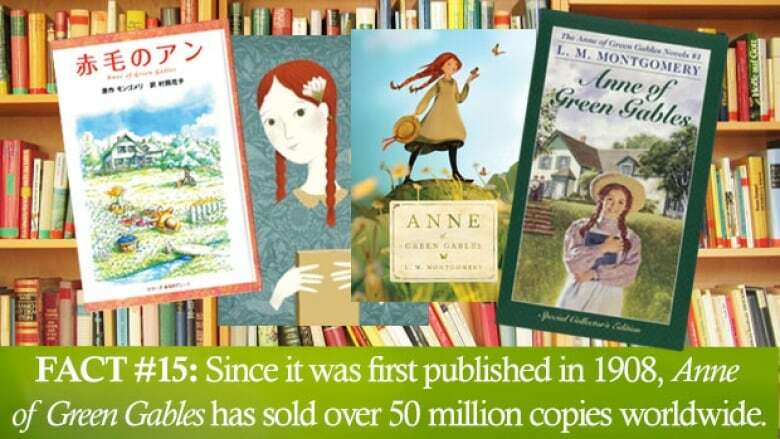 Anne of Green Gables was an immediate success, selling 19,000 copies in its first five months. 8. Besides Anne, Montgomery's bestsellers included Emily of New Moon, Jane of Lantern Hill, Pat of Silver Bush, The Blue Castle and The Story Girl. 9. Montgomery was named after her grandmother and one of Queen Victoria's daughters. 11. Montgomery's mother died of tuberculosis when she was nearly two, and her father would later move to Saskatchewan and remarry. 16. Montgomery finished a two-year teaching degree in one year, graduating with honours from Prince of Wales College. She taught at three rural schools in P.E.I., Bideford, Belmont and Lower Bedeque schools, but was soon making enough money as a freelance writer that she quit teaching and wrote full-time. 18. In the 1980s, The Blue Castle was adapted into a sold-out musical in Krakow, Poland. 21. While researching Montgomery's life, Fishbane discovered: "Anyone who is anyone knows that L.M. 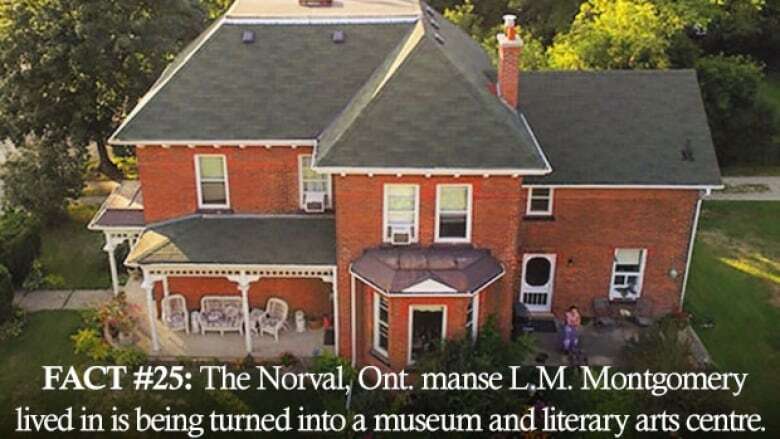 Montgomery or Lucy Maud Montgomery would NEVER be called 'Lucy.' She was 'Maud' — without an 'e' — to her friends." 22. Another fascinating tidbit from Fishbane: "Montgomery and her first boyfriend, Nate Lockhart (said to be part of the inspiration for Gilbert Blythe), used to pass letters to one another during school. While these letters have disappeared (she most likely burned them), she DID keep the first letter, immortalizing it in red ink in her journal." 23. Montgomery married Reverend Ewan Macdonald in July of 1911, after a secret five-year engagement. 24. 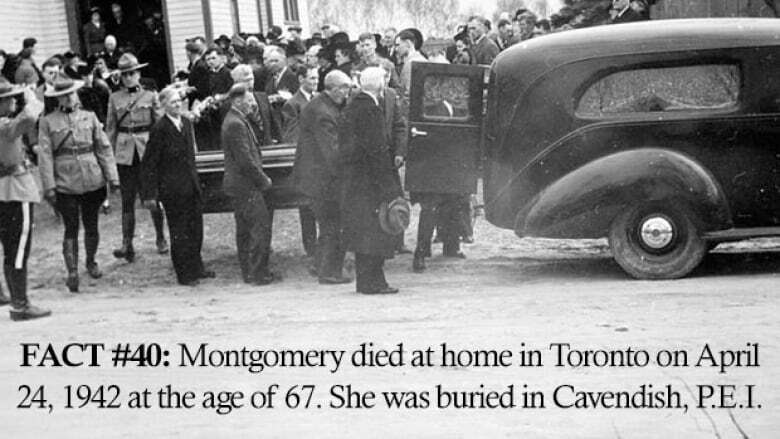 After getting married, Montgomery moved to Ontario with her husband, living in Leaskdale, Norval and Toronto. 26. The star of the 1934 film adaptation Anne of Green Gables, actress Dawn Evelyeen Paris, ended up using Anne Shirley as her stage name for the rest of her career. 27. 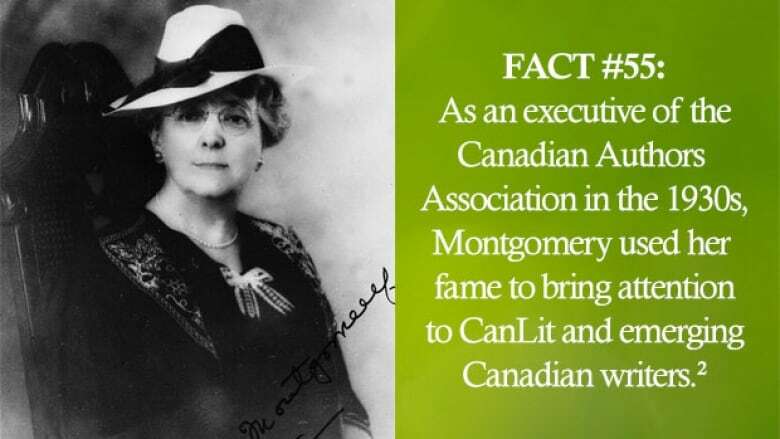 In 1923, Montgomery was the first Canadian woman to become a member of the Royal Society of Arts and Letters. 28. Montgomery kept a detailed diary throughout her life, in which she chronicled the horrors of the First World War, her grief over losing a son, and her appreciation for the beauty of nature. 29. Montgomery wrote over 500 short stories, 20 novels and two poetry collections. 30. Perhaps the most famous adaptation of Anne of Green Gables is the 1985 CBC miniseries, starring Megan Follows. 31. The 1985 Anne of Green Gables miniseries won many awards, including 10 Gemini Awards, an Emmy Award and a Peabody Award. 34. Mindy Kaling is a self-professed Anne of Green Gables fan, and said it's one of her favourite books in an interview with the L.A. Times. "Living on Prince Edward Island would be so badass," she added. 36. Anne is extremely popular in Japan, thanks to translator Hanako Muraoka. 37. Muraoka received a copy of Anne of Green Gables from a missionary from New Brunswick named Loretta Shaw in 1939. 38. She worked on translating the book during the Second World War, but did so secretly as English was considered the "language of the enemy." When southern Tokyo was bombed by the U.S. in 1945, Muraoka fled to an air-raid shelter in her garden, carrying her manuscript and copy of Anne of Green Gables. 39. The translation was published in 1952, titled Akage no An, or Red-Haired Anne. As an orphan, Anne was relatable to many young readers in post-Second World War Japan. 42. There is a nursing school in Japan nicknamed the School of Green Gables, which is a sister school to the University of Prince Edward Island's School of Nursing. 43. Montgomery had three sons: Chester who was born in 1912; Stuart, who was born in 1915; and Hugh, who was stillborn in 1914. 44. Montgomery's body of work has been reproduced in more than 30 languages. 46. The first Anne of Green Gables translation was into Swedish. It was published in 1909. 47. On the 100th anniversary of the publication of Anne of Green Gables, Montgomery's granddaughter Kate Macdonald Butler wrote an essay in the Globe and Mail revealing that Montgomery's family believed that she had died by suicide. 48. Macdonald Butler said she decided to share the family secret to help reduce the stigma on mental health issues. Montgomery suffered from depression throughout her life. Her husband also suffered from depression throughout their marriage. 49. Montgomery's son, Dr. Stuart Macdonald, found a piece of paper on her bedside table. A section of it said: "May God forgive me and I hope everyone else will forgive me even if they cannot understand. My position is too awful to endure and nobody realizes it." 53. From Melanie Fishbane: "When she was 15, Montgomery went to live for a year with her father and stepmother in Prince Albert, Sask. — it did not go well. What did go well was that she published an essay, A Western Eden, and two poems, June and Farewell, in the Prince Albert Times." 54. In 1935, L.M. Montgomery was named an Officer of the Order of the British Empire. 57. Hanako Muraoka, who translated Anne of Green Gables into Japanese during the Second World War, wrote that, "if I could have met Mrs. Montgomery, we would have been bosom friends." 59. Rachel McAdams narrated an Anne of Green Gables audiobook in 2016. 60. The latest adaptation of Anne is broadcast on CBC and Netflix and stars Irish actress Amybeth McNulty in the title role. 61. The Duchess of Cambridge is rumoured to be a big fan of Anne of Green Gables. She and her husband, Prince William, met with actors of the musical that was running in Charlottetown during their visit to Canada in 2011. 62. From Melanie Fishbane: "On one sunny summer afternoon during a church picnic, Montgomery's second boyfriend, Will Pritchard (also an inspiration for Gilbert Blythe) carved their initials in a tree near a place called Maiden Lake. Sadly, the tree and the lake (most likely a big slough) are no longer there." 64. Moira Walley-Beckett, an Emmy Award–winning producer of Breaking Bad, is the showrunner and writer of CBC's Anne series. 68. 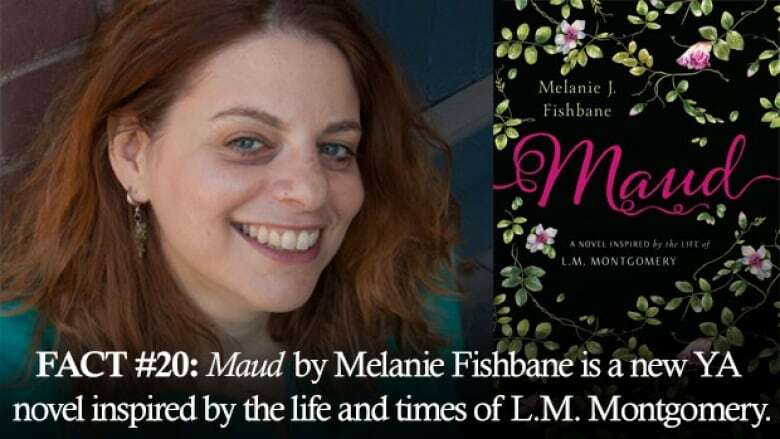 From Melanie Fishbane: "Montgomery was a teen writer. She was first published a few days shy of her 16th birthday when her poem, 'On Cape Le Force,' appeared in the Charlottetown Daily Patriot on Nov. 26, 1890. She wrote on Dec. 7, 1890: 'Well, this has really been the proudest day of my life!... for there in one of the columns was my poem! I was too delighted to speak.'" 69. There is a newsletter, published by the L.M. Montgomery literary society since 1992, called The Shining Scroll, about Montgomery's life and works. 70. Anne of Green Gables was made into a silent film in 1919. The film was destroyed but old movie stills survive. 71. About the 1919 film, Montgomery wrote in her diary that the actress who played Anne "is very dainty, very pretty and utterly unlike my gingerly Anne." 72. 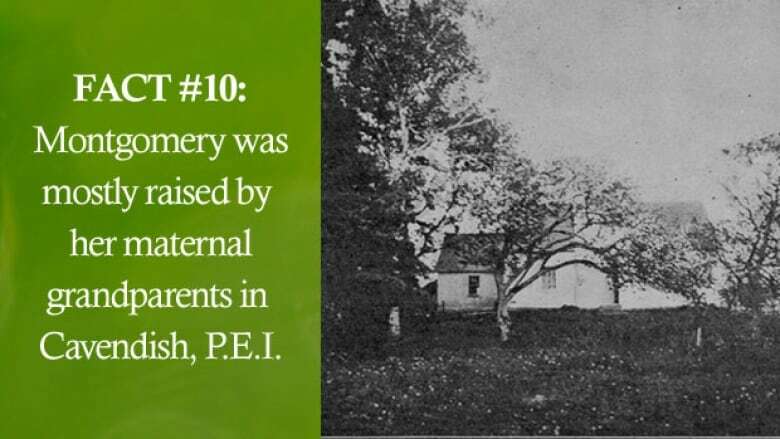 Montgomery attended Dalhousie University for one year, studying English and paying her way through with teaching jobs in rural schoolhouses. 74. Montgomery would often write under pen names such as "Joyce Cavendish" so her family and friends wouldn't connect her to the writing. She chose L.M. Montgomery so readers couldn't tell what gender she was.